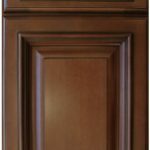 Ablemark Cabinetry is Able Builders’ very own private label manufactured cabinet line made for home renovations Clearwater, FL. 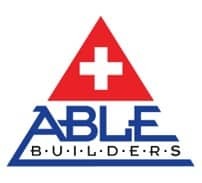 Able Builders, Inc in Clearwater has created our very own Cabinet line, Ablemark Cabinetry, that provides the highest quality cabinets for your Home Remodeling Projects throughout Pinellas County. 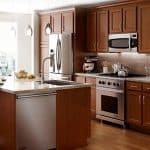 We know how important the look and feel of your new Kitchen Cabinets are. 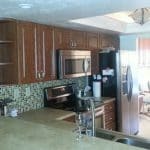 That is why we created multiple colors and textures to ensure your Remodeling Project is a success. 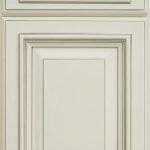 Kitchen Kompact products are our most popular and economical kitchen cabinets for home renovations. 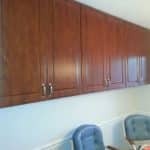 From classic to contemporary, these cabinets can be purchased from Able Builders, Inc and in many cases installed next day due to current inventories. All doors and faces are solid wood, and drawers are plywood construction. This product retails at Able Builders, Inc for well below the large chain home improvement stores selling the same Brand. 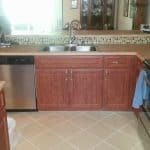 If you are considering remodeling your kitchen and new cabinets, refacing cabinets is a cost effective alternative to installing new cabinets. 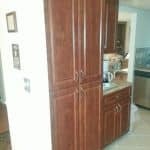 Able Builders is a master at home renovations and kitchen cabinet refacing. Our home renovations experts can give your kitchen a “face-lift” with new doors from Doormark. 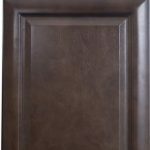 Doormark offers a seemingly endless variety door shapes, colors, grains, and styles, with exact matching laminate materials to re-face your existing boxes. 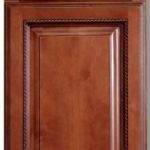 The concept is that you pick the door of your dream kitchen, and we buy all new doors. 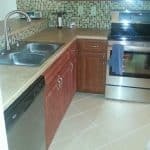 We then reface your cabinets in the matching material, install the new doors and hardware, and in an instant, your perfect kitchen emerges. 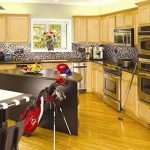 By keeping your existing cabinet frames in place, this method of kitchen remodeling is among the fastest and most economical path to the kitchen of your dreams! Call us today to Learn more about kitchen refacing and Doormark products.